THE Electoral Commission of Zambia (ECZ) is at liberty to print ballot papers from any country of their choice, Vice President Inonge Wina said in Parliament yesterday. The Vice President explained that ECZ engaged all stakeholders when it came to election matters, including the printing of ballot papers. Mrs Wina said the tender to print ballot papers for the 2016 elections was advertised in the newspapers locally and abroad. She said the company that would win the tender would get the job to print the ballot papers. The Vice President explained that the tender was also bided for by the printing companies in Zambia including the Government Printers. She has dismissed allegations that President Edgar Lungu had instructed the ECZ to print ballot papers in Dubai. Mrs Wina said the choice of printing ballot papers by ECZ had nothing to do with either the President or the Office of the Vice President. She said since the creation of the ECZ, the electoral body had always decided where it wanted to print ballot papers. “No President directs the ECZ where they print the papers and this particular choice of the commission has nothing to do with the presidency or my office for that matter. “We read about it in the newspapers just like every Zambian. 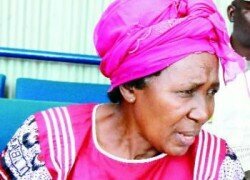 There is no pressure whatsoever as to where the ballot papers should be printed,” Mrs Wina said. 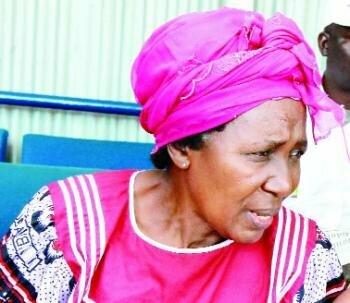 She was responding to Patriotic Front (PF) Mpongwe Member of Parliament Gabriel Namulambe during the Vice President’s questions time. Mr Namulambe wanted to know what Government was doing to earn public confidence and trust with the negative reservations that people had expressed on the printing of ballot papers in Dubai. autonomous and yet the portfolio function of supervision of the ECZ as approved by this House is under the Office of the Vice President,” Mr Namulambe said. He wanted to know what Government was doing in order to earn public confidence and trust with the negative reservations that people had expressed on the printing of ballot papers in Dubai. But in her response, Mrs Wina said since the creation of the ECZ, it had always decided where they printed ballot papers. “No President directs the ECZ where they should print the papers and this particular choice of the commission has nothing to do with the President or my office for that matter,” she said.